Density Design partnered with one of the most popular Italian newspapers for a weekly column making sense of the world through visualization. 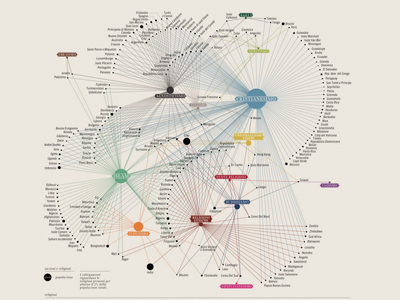 Each visualization represents a unique solution and gathering of datasets. 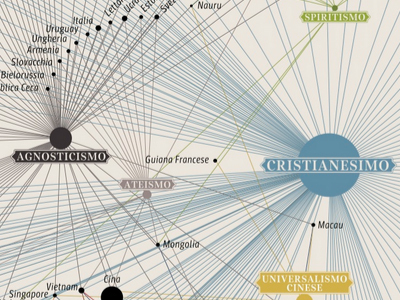 This visualization analyzes the connections between religions and where they are most practiced, depicting the truly global nature of world religion.